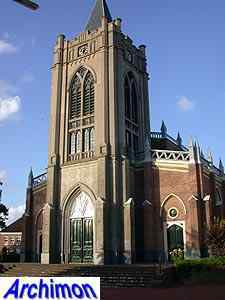 Zeist is a large village east of the city of Utrecht. In 1746 the Hernhutters or Moravian Bothers, a protestant group with its origins in Bohemia and Moravia, founded a settlement in Zeist. This church is part of their complex and was built in 1766-1768 after plans by Moritz von Schweinitz. 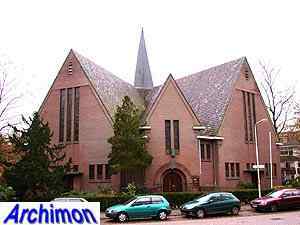 The reformed church is the successor of a medieval church. 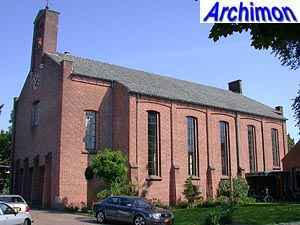 The current church dates from 1841-1843 and was designed by N.J. Kamperdijk. It is an important example of early neo-Gothicism. The medieval tower, which dates from the 12th century, was given a neo-Gothic look as well. The Roman Catholic St. Josef was designed by W. te Riele in 1915 but was built in 1922-1924. The design was inspired by early German neo-Gothicism. 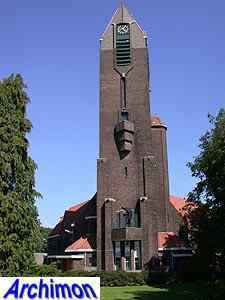 The reformed Nieuwe Kerk ('new church') is a church in Expressionist style, designed by local architects J.M. Paap and J.J. van Straalen and built in 1925-1927. 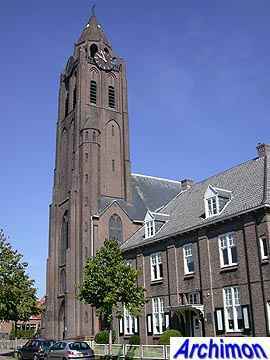 Also in Expressionist style, but in a much more moderate version, is the Gereformeerde Noorderkerk, which was designed by B.W. Plooij and built in 1931. 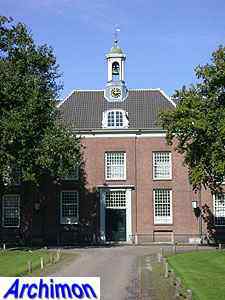 The Gereformeerde Oosterkerk was also designed by B.W. Plooij and built in 1935. 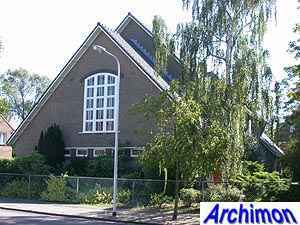 The Nieuw-Apostolische Kerk (New Apostolic Church) dates from 1939 and was designed in a Traditionalist style by architect C.M. Bakker. 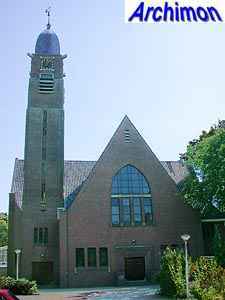 The reformed Sionskerk was built in 1951 and is in a simple Traditionalist style typical for reformed architecture in this period. It was designed by architects G. van Pothoven and H. van Pothoven.